To celebrate the end of the week that saw the launch of the updated Bodleian First Folio website with the introduction of digital text, its talented designer, Monica Messaggi Kaya, got creative with the Prologue of Henry V and the famous engraved portrait of Shakespeare. All the images and text, which are downloadable from the website, are released under a Creative Commons Attribution licence. Make your own creative use of them, and email us the results! Thanks to the generous donations of our supporters, last year we published a digital facsimile of the Bodleian First Folio of Shakespeare’s plays, where you can experience the first collection of his works in your own home, or download its images to your own device. This year, to mark Shakespeare’s 450th birthday, we’re delighted to announce a new phase of the project, to publish digital editions of each of the plays. This has been made possible by a lead donation from Dr Geoffrey Eibl-Kaye, with generous support from Dallas Shakespeare Club, James Barber, and another private individual. Thank you to you all. We’re excited to be launching our serial publication of Shakespeare’s plays with Henry V: not just for Harry, England, and St. George, but for everyone. As the digital editions of the plays are published, you will be able to read and reformat them more easily, search across them, and produce play-scripts and cue-scripts. The Life of Henry The Fift. Henry V is a play of paradoxes. Sometimes performances interpret the text as jingoistic, highlighting its calls to arms from an impassioned Henry, who understands how to inspire and rouse his troops. Yet a close reading of the text also reveals a petulant and calculating king, who uses his insight to manipulate the people around him, and is capable of denying former friends. The audience is taken from London to northern France, via Southampton, and in this wide sweep, the Chorus keeps reminding us that we are in the physical space of a theatre. As the play’s title in its first printed edition (the 1600 quarto) describes, and its most memorable speeches support, this is a play about war: The Cronicle History of King Henry the fift, With his battell fought at Agin Court in France. Together with Auntient Pistoll. But it includes two affecting accounts of deaths (Sir John Falstaff’s, and the Duke of York’s), and a touching (and politically unnecessary) courting scene between Henry and the French princess Katharine (whom he is promised in marriage as the first article in the peace treaty). Henry shows courteous respect to the Herald who delivers messages from the French camp, yet orders the French prisoners to be killed when he believes the battle is going against him: notably, this happens before he discovers the French have killed the boys behind the English lines. In keeping with the many voices of the Bodleian First Folio, Henry V has a particular and poignant place in the life of one of the major figures in the book’s history. Gladwyn Turbutt was the undergraduate at Magdalen College, University of Oxford who, by chance, brought the book back to the Library for advice on its binding in 1905. He subsequently worked with Falconer Madan and Strickland Gibson on a scholarly description of the book for publication. We hope you enjoy the play. Let us know what you think. Join the conversation here at our blog, or write a guest blog post and email us. James Mardock’s introduction to his edition of Henry V at Internet Shakespeare Editions is an excellent overview of the play and its textual history. podcast on the play from her Approaching Shakespeare series is brilliantly engaging. * I am very grateful to Emeritus Professor Richard Sheppard, for sending me details of Gladwyn Turbutt’s war. ** The quotation above is taken from Turbutt’s anonymous obituary in his local parish magazine, of Shirland, Derbyshire (Bodleian Library Records, c. 1262). Colleagues in the Bodleian have worked with IT Services to produce a term-long series of talks, classes and workshops, Engage: Social Media Michaelmas, run by Kate Lindsay with help from Stephen Eyre. I was delighted to be invited to talk today to a lively audience about the Bodleian First Folio and its two public funding campaigns, 1905/6 and 2012. In the winter of 1623, a copy of Shakespeare’s newly printed First Folio arrived at the Bodleian Library from London. In the 1660s it left the Library and was lost from view until 1905, when an undergraduate from Magdalen College brought a tattered copy of an early Shakespeare Folio into the Library for advice on its binding. Inspired by the research of Emma Smith (Hertford College) into the book’s history, Sprint for Shakespeare was a public engagement and funding campaign. Through print, broadcast, and social media, it promoted engagement with Shakespeare, the First Folio, and current research. It raised £20,000 to conserve, photograph, and publish a high quality digital facsimile online, freely available to anyone with internet access. 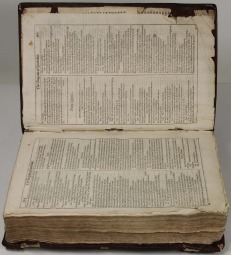 It continues to promote use and understanding of the First Folio and its place in Shakespeare studies, amongst other activities running workshops for teachers and actors. 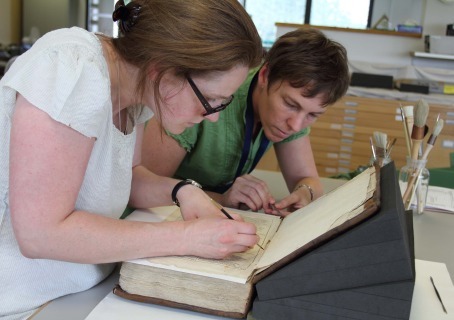 Pip Willcox (a digital editor at BDLSS, Bodleian Libraries) conceived and managed the project, working closely with Emma Smith, and with colleagues across the Library and the University. In this talk Pip outlines the cultural significance of this first edition of Shakespeare’s plays, relating the winding history of the Bodleian’s copy, and focusing on the two public campaigns the book sparked, in 1905 and 2012. This is a reduced size version of the slides from my talk, with images removed where we don’t have permissions to reproduce them. The Digital Humanities at Oxford Summer School starts today. As well as bringing an exciting group of digital humanists to Oxford, it includes an evening poster reception at St Luke’s Chapel tomorrow evening, where many delegates and organizers will present projects and research. We are delighted to be presenting the First Folio project there. You can sneak a preview of (a very reduced version, to make it easily downloadable of) our poster [PDF]. To celebrate Shakespeare’s 449th birthday today, we are delighted to publish the digital facsimile of the Bodleian’s First Folio. Thanks to the generosity of hundreds of supporters of the Sprint for Shakespeare campaign, we have been able to conserve, digitize and now publish online images of this precious treasure of the Bodleian’s collections. Welcome, old friends and new readers alike! Here is the story of this remarkable book so far. In the winter of 1623, a copy of Shakespeare’s newly printed First Folio arrived at Oxford’s Bodleian Library from London. Some time later, it left the Library and for years it was lost from view. But in 1905, Gladwyn Turbutt, an undergraduate at Magdalen College, brought a tattered copy of an early Shakespeare Folio into the Library for advice on its binding. The sub-librarian on duty, Falconer Madan, immediately knew it was the lost Bodleian First Folio, still in its original binding. Excited as he was, Madan publicized the discovery. Word of it reached America, from where an anonymous prospective buyer offered an enormous £3,000 for the book. Later the would-be buyer was revealed as the chairman of Standard Oil, Henry Clay Folger. The book’s owners, the Turbutt family of Derbyshire, gave the Bodleian a chance to match the Folger’s offer. Funds were scarce, but the book was particularly precious, and so the first public fund-raising campaign in its history was born. It needed an extension from the Turbutts and over 80 donors to raise the sum, but finally, in 1906, the First Folio returned to its first owners. In the winter of 2011, Emma Smith gave a talk on her research into this copy of the book, rarely seen by scholars due to its fragility. Emma’s lecture, her generosity, and her passion for sharing knowledge sparked a new public fund-raising campaign, Sprint for Shakespeare. With support from champions led by Vanessa Redgrave, and hundreds of donors, colleagues from across the Bodleian have worked to conserve, digitize, and publish the book online. This book, lost and found, tells an extraordinary story of overwhelming generosity, recent and historic, intellectual and financial. We know an unusual amount about its past: who bound it, and when (William Wildgoose, in February 1624); we know its exact position during the first years of its life – through the theatre closures of the Commonwealth – chained to a shelf in the recently completed Arts End of Duke Humfrey’s Library. Thanks to the efforts of Falconer Madan and Strickland Gibson, we have a detailed description of its state in 1905. E W B Nicholson’s gift for administration has left us a complete archive of its first funding campaign. More surprising may be what we do not know of its history: how the book came to the Bodleian in 1623 – whether through the Library’s agreement with the Stationers’ Company or as a presentation copy; how and when it left the Library; who owned it before the Turbutt family. But perhaps the best stories are the ones the book itself tells – its plays, of course, but also how it was printed, bound, kept, and above all read. It has plenty left to tell us, with its first-instance Droeshout engraving, the poor quality of its paper, an unidentified manuscript poem, an apple pip squashed flat in its gutter, of how King John appears barely touched while Romeo and Juliet has been read to tatters. 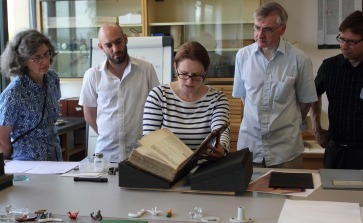 We are excited that public support and digital technology allow us to share, rather than compete for, this treasure of the Bodleian’s collections. Today we publish the digital facsimile online, freely available to all. We hope you will help us tell its stories. A version of this blog post first appeared on the excellent Shakespeare’s England blog, thanks to the kind offices of Dr Victoria Buckley, who also came up with the title for this post. 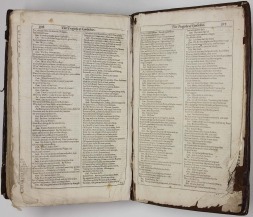 Recent attention has rightly focused on the ‘Bodleian’ copy of the First Folio (Arch. G c.7) but some final checks of the catalogue records, in advance of the images being published, gave me the chance to see the Bodleian’s other copy – the ‘Malone’ (Arch. G c.8). 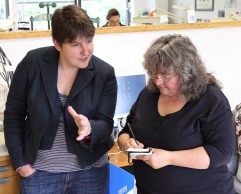 I spent two memorable mornings with Sarah Wheale and Pip Willcox collating the two copies. This involved a leaf-by-leaf comparison of them against each other and against the published descriptions, checking for anomalies and differences. 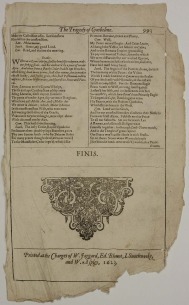 If the Bodleian copy stands as witness to the early reception of the plays, then the Malone copy marks the start of modern Shakespearean textual scholarship. It belonged to Edmond Malone (1741–1812), the editor of Shakespeare whose unprecedented documentary and textual research led him to consult the early quartos and folios of the plays more thoroughly than any scholar before him in order to establish an authoritative text. At first sight Malone’s copy, clad in a late eighteenth-century binding that he commissioned, looks more pristine than the well-thumbed but carefully preserved Bodleian copy. Closer examination, however, reveals a greater degree of repair and ‘improvement’. 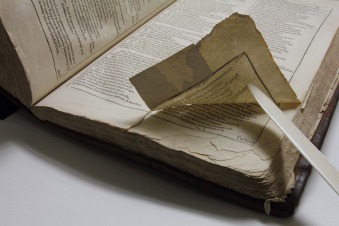 The repairs seem to have been carried out as part of the binding process and some pages are now discoloured in places – probably the result of the partial rinsing (with new bleaching agents that were just starting to be used in this period) to remove blots and annotations from books. The book has other more mysterious marks which seem to be later than the rebinding. As we carefully worked though the volume burn holes were spotted in places and groups of round stains could be seen. Surely these cannot have happened after the book entered the Bodleian in 1815, where all readers and staff solemnly swear an oath that they will not “kindle therein any fire or flame” – could they have been caused by Edmond Malone’s nighttime reading? Unfortunately Edmond Malone did not live to see the ‘snuffless’ candles that emerged in the 1820s with plaited wicks: his nighttime reading would have required constant tending of his candle. Maureen Dillon in her illuminating Artificial Sunshine: a social history of domestic lighting (London: National Trust, 2002) explains that “the best-quality tallow candles could last for at least twenty minutes before snuffing, while the cheapest tallow candles, if a decent flame was to be kept and guttering avoided, needed snuffing every few minutes”. The burn marks in the Malone copy are small, and appear to be caused by small embers falling onto the opened book and lying there momentarily before being extinguished. Other burn holes, decreasing in size, are found in the leaves underneath the first hole but are not found on the leaves facing the largest hole. The yellowish round stains have the appearance of wax or tallow and fall as circular spots which have made the paper translucent in places. Could this be evidence of Malone’s distracted management of tallow candles whilst he read? The Oxford Dictionary of National Biography records that he seriously damaged his eye-sight by combing through the corporation archives at Stratford by dim candle-light; his First Folio would seem to suggest that he read it on occasion under similarly difficult lighting conditions. 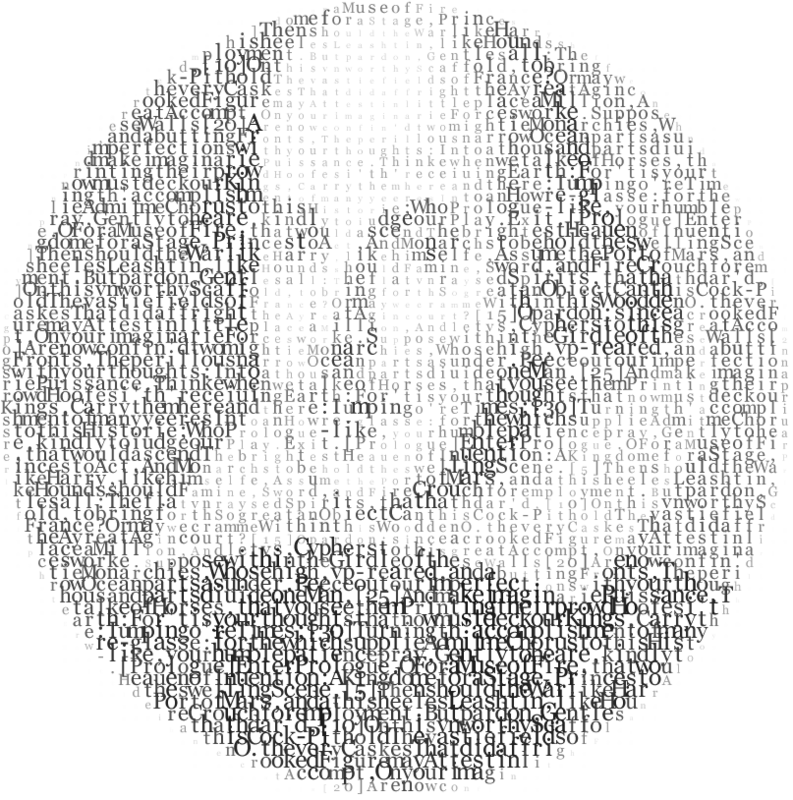 Digital technology intersects Shakespeare studies in many different ways. The digitization of the Bodleian’s First Folio is a brilliant example of how digital media can enhance access to Shakespeare. The Library and Archive at Shakespeare’s Globe are pursuing another route: the digital capture of performances. Capturing the ephemeral, preserving it and making it available for current and future audiences, has always challenged performance archives. At the Globe, where performance and research combine to explore Shakespeare’s texts in a unique and exciting way, capture and preservation are crucial. Performances at the Globe have been recorded since the very first productions in 1997. Technology has transformed since then, and we recently installed a capture system which records at a far higher quality than previously used. Capturing more data provides the recordings with more visible data, and facilitates their preservation. Our next step will be to upgrade our cameras and cabling to produce and transmit high definition television signals. New cameras will give us greater control of light and focus settings, providing higher tolerance of changing environmental conditions – an important consideration for recording in an outdoor theatre during a typical British summer! Today’s information professionals are pioneers in the untamed landscape of digital preservation, a terrain whose boundaries and pitfalls shift with each new technological development. The prospect is as exhilarating as it is daunting. The more digital resources that libraries and archives can provide for researchers, the more useful we will remain. A big call to arms for all who know the importance of the literary legacy Shakespeare left in his wake and who wish to preserve a book that irrevocably finds itself within the compass of time’s bending sickle. Albert Camus said: “Real generosity toward the future lies in giving all to the present.” Let’s be generous… let’s give something! Today. A sum so small and yet so great. The sprint that leads to fortune’s gate. To book and binding, bard and boor. Go, turn to dust that precious book! Dissolve the print! We’ll save the verse! Art needs a carriage, not a hearse. The two weeks have flown by, and, fortified by a good breakfast at Mick’s Café, the team started on the final day of the stabilization work. We reviewed the work that has been done and we are happy that the splints and joint support are functioning as we intended. Measurements of the book were taken so that a new tailor-made box can be ordered for it: suitable housing is crucial to the preservation of rare books, and though the First Folio has a rather fine presentation box, made for it by the Oxford firm Maltby’s on its return to the library, the box is damaged and is no longer protecting the book as well as we would like. A custom-made box covered in hard-wearing linen cloth will be constructed for the book, and in true Bodleian style the old box, in its own card box, will be retained alongside it on the shelf! We have had some fantastic responses to the project from the media, with journalists from the local news as well as The Guardian and BBC Radio 4 visiting to see our work. The team were delighted to host a visit from Vanessa Redgrave who has given her enthusiastic and heartfelt support to the project. This has made the workshop a busy place over the last two weeks, and we have greatly enjoyed sharing our work with these and many other visitors. Next week the project moves on to the next exciting phase: the digitization itself. 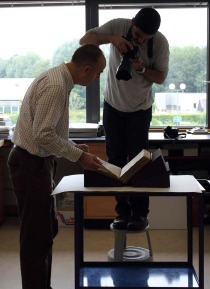 The work of the Conservation team is not over, as we will be working closely with our specialist photographers to ensure the safety of the book while getting the best possible images. Our brief time with this very special book has sparked our interest in many areas: the binding methods and techniques, the paper quality, the material used for repair patches and much more. We look forward to seeing the plays online when the work is complete, and will be following up the threads of evidence that we have been able to pick up during our work. I hope these notes have been interesting and have given a glimpse of the sort of work that goes on in the Conservation workshop: a combination of history, archaeology, technical analysis, photography, and an awful lot of thinking and talking. Only when we have done all of that do we pick up our brushes and spatulas and carry out the repair. We are coming to the end of the treatment needed. 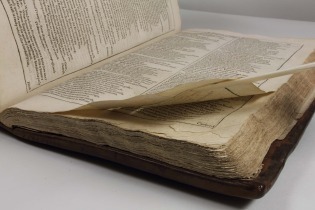 The final bifolium of the book had shifted out of position and protruded from the edge, causing damage to the corner. We have relaxed the spine fold and repositioned the bifolium so that the edges are back within the textblock and in their proper position. We have also evaluated the success of our splint repairs and are pleased with the way that they allow the leaves to flex properly again. The 3 detached leaves of Cymbeline (around the re-positioned bifolium) will be replaced in position, loose, at the back of the book. In our usual work, we would re-attach loose leaves, repairing the torn spine folds and hinging the loose leaves back into position. But we felt that such repair was undesirable in this case, and would stand out against the minimal approach to the rest of the volume, so they will remain loose. As the book will not be handled by readers as an ordinary book would be, the risks of unattached leaves can be balanced with the principle of minimal interference. 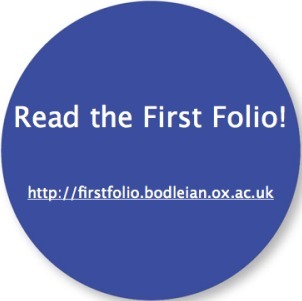 How many First Folios do we need?